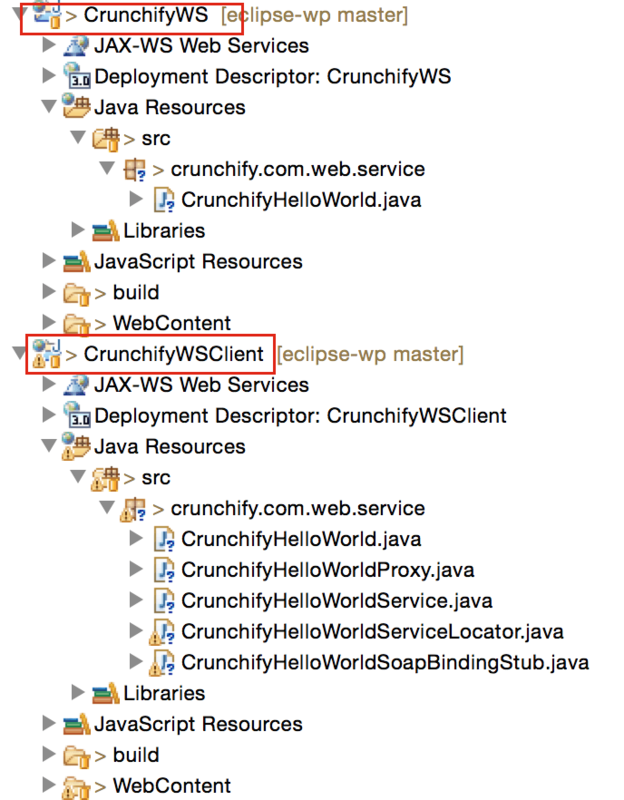 Follow below simple steps to create and deploy simple Web Service and Web Service Client in Eclipse IDE. 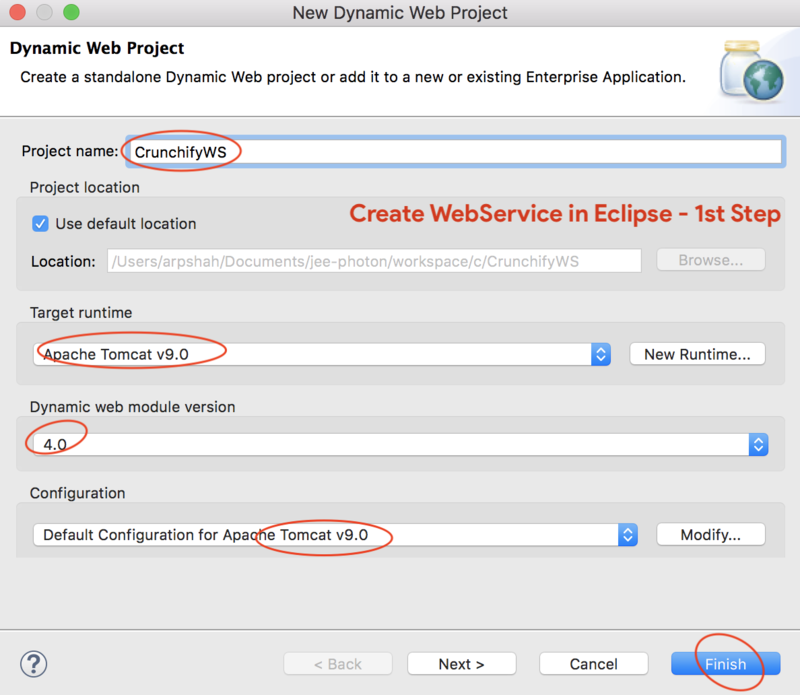 Install Apache Tomcat and add it to Eclipse in Server Tab – I’m using Tomcat version 9.0.10. Create java file under /src folder. 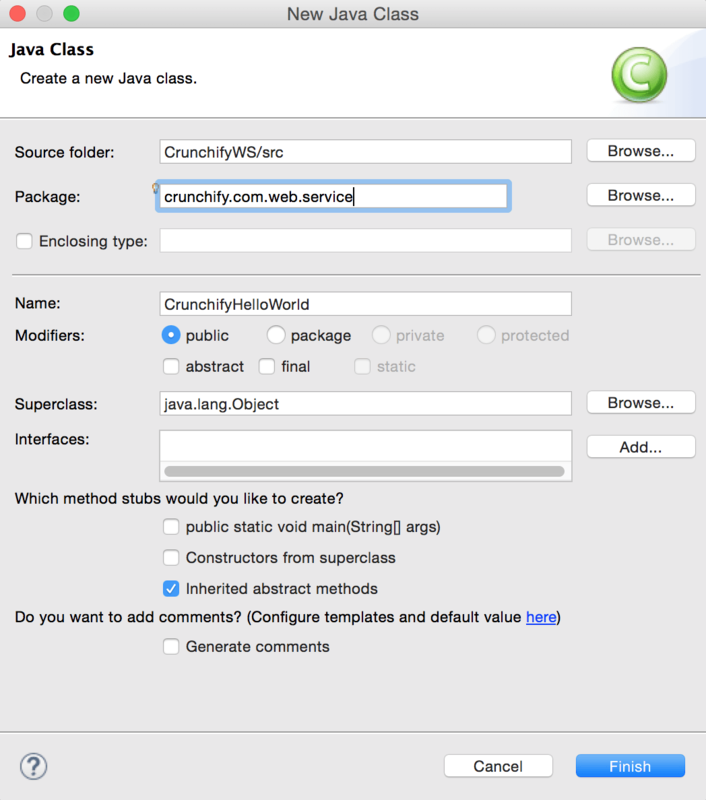 Right Click /src folder -> New -> Class. 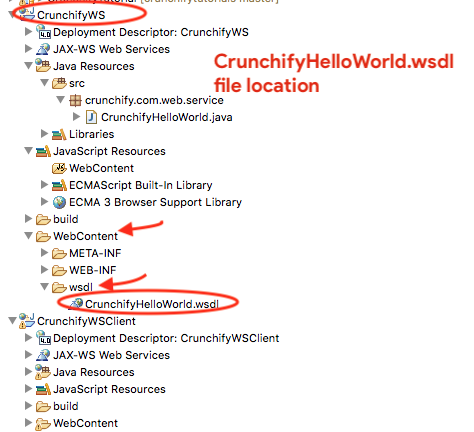 Open CrunchifyHelloWorld.java file and create simple main method. 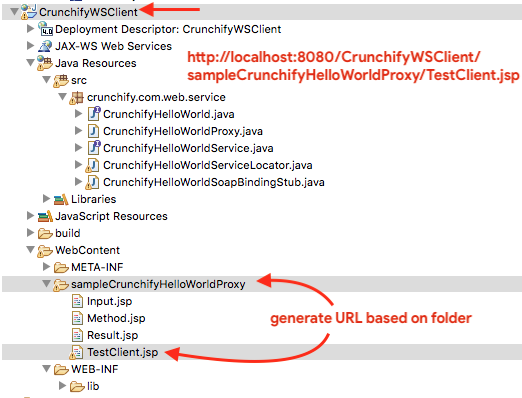 CrunchifyWS and CrunchifyWSClient both projects should be automatically deployed to server. Now click on addValue(float), subtractValue(float) and provide an input to check updated result. And you are all set. Do let me know if you see any difficulty with these steps. 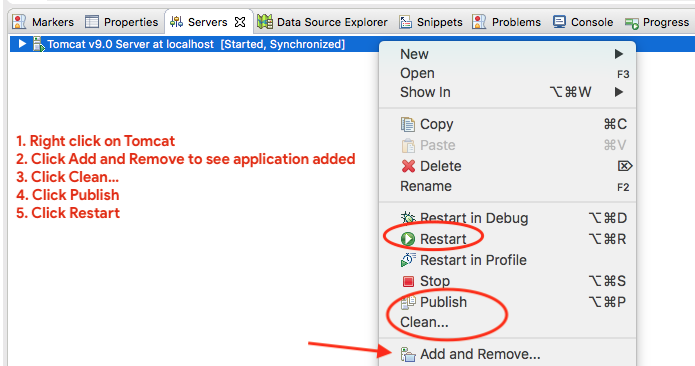 Are you getting below error after clicking Invoke button? 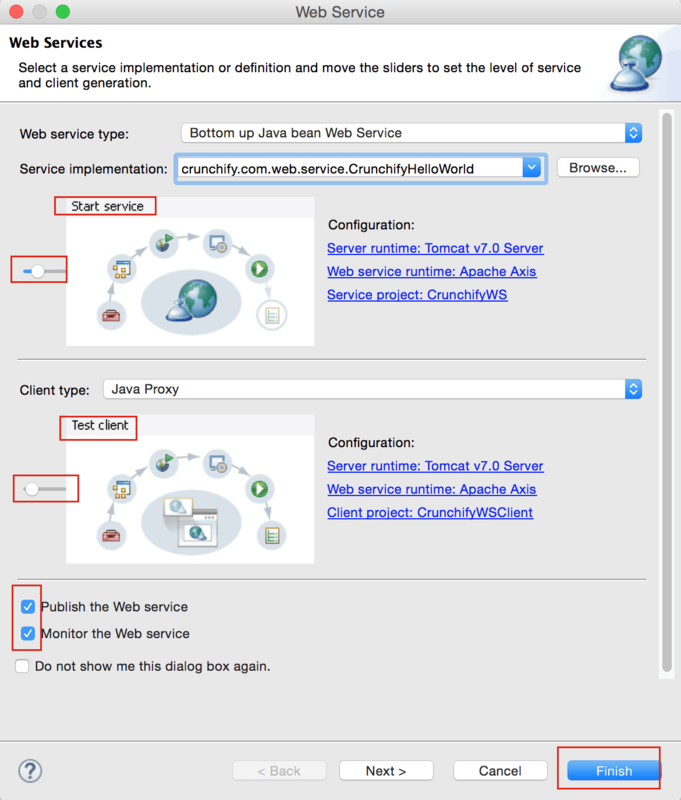 How to rerun WebService after restarting Application or later?